As a young girl, Haith's world was shattered when her father was slain in battle. He was Lord of Seacrest, and he had loved her mother very much. But he hadn't been married to her. Despite being illegitimate, her father treated her as he did his other daughter, and Haith loved Soleilbert as her sister. Raised together despite the vitriol thrown at her by the Lady Seacrest, their bond was strong, so when, as adults, her shy sister's hand is promised to Tristan D'Argent, warrior and friend of King William, as part and parcel of a bequeathment for his service to the crown, Haith was both happy for her sister and worried about the unknown D'Argent and the tales of his villainy. She is truly horrified and disgusted, however, when Lord Nigel, the Lady Seacrest's slimy second husband, propositions her, giving her a terrifying choice: lay with him or serve as spy and lead D'Argent to his death so Lord Nigel could get his hands on what he felt was owed to him, Tristan's bequeathed holding. Desperate to escape Nigel, Haith agrees to do his dirty work, until she sees Tristan for the first time and recognizes him as the man she's been dreaming about since she was a child, the man her aunt calls her soul mate. The choice is clear. 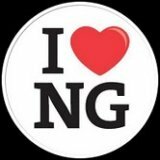 Either she betrays the man who her heart has cried out for with whispers of destiny and a promise of love that lasts forever since she was but a child, or she gives herself over to Nigel and becomes the sexual plaything of a power hungry and vicious megalomaniac. 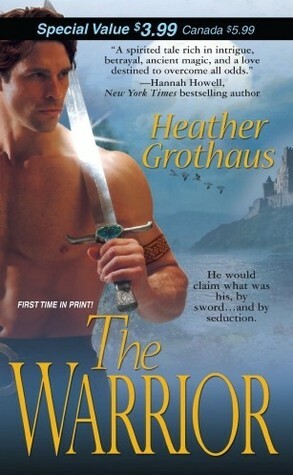 With a touch of magic and a realistic flavor of the medieval historical time period, Grothaus kicks off her historical romance trilogy with The Warrior, offering up a nicely conceived and well-paced plot full of intrigue and romance. Haith was feisty and outspoken but a believable woman of her time, and Tristan was the prototypical warrior-hero with just enough personal baggage and peccadilloes to keep him from coming across as cartoonish. Secondary characters were well defined and fleshed out nicely, and the antagonist was quite a sufficiently nasty piece of work. There were several nice things about the story of The Warrior, but despite them, I had some problems with how the plot developed and the manner in which some of the plot threads were introduced. I was never quite able to truly like Haith, even though her feisty nature was in tune with my personal preferences for female leads in historical romance. Some of my favorite parts of the book were the glimpses of magic and mysticism, but they were sadly underused. The lack of foundation laid for the life-long soul mate dreams that Tristan and Haith had was a serious detriment to the evolution of the romance, and there wasn't enough exposition provided to more than perfunctorily explain the soul mate bond or provide enough backstory on Haith's abilities. When those aspects came up they seemed to spring from nowhere and were often jarring. I also thought it odd that the details of Haith's mother's fate was a mystery for so long, and when it was raised I was left with some questions about who did what to whom and when it had occurred. I felt Haith's character was riddled with inconsistency. She was terrified of Nigel and turned into a helpless, trembling maid in his presence but was able to use her magic offensively and wasn't afraid to go toe to toe with Tristan, even though his reputation was suspect and he was a big unknown. She had empirical evidence of the power inside her, yet denied the possibility of other magical influences. And frankly, she just wasn't all that bright, as many of the major conflict points in the narrative could have been resolved with a single much-needed conversation between the main characters. On a more favorable note, Grothaus did do a lovely job imbuing her story with a medieval feel throughout every level of the book. Though I'm completely unqualified to speak on the historical accuracy of the narrative and dialogue or the actions of the characters, it felt genuine enough that the tone of the story and the cadence of the writing added to, instead of distracted from, the reading experience. For those historical romance fans who dislike when modern speech or actions create an anachronistic schism, I think this book would hold appeal. In all honesty, several aspects of the book appealed to me, too, but the issues which didn't prevented this book from being a truly entertaining read for me.